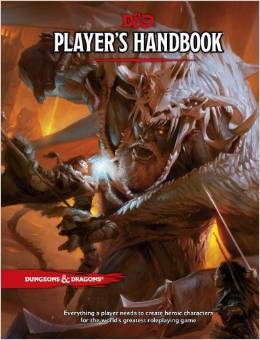 Win a 5e Player’s Handbook! Follow both @gatorgames and @newbiedm on twitter (yes, that’s part of the deal… having a twitter account). Leave a comment here telling us what Race/Class combo you plan on making for your first 5e game. Please include your twitter handle in your comment. That’s it! You’ll be automatically entered to win. I will randomly select a winner at the end of the contest. Only one entry is allowed per person, and only entries from inside the continental United States will be accepted. We will not ship anywhere outside the USA. Good luck, and while you’re here, why don’t you take a moment to read about, and visit our sponsor, Gator Games, below…. Gator Games is an FLGS (Friendly Local Gaming Store) operating in San Mateo, CA., and if you are in the area then do yourself a favor and make them your gaming store. But if you are not, it doesn’t matter, because Gator Games has a website with a great “Used Items” online store that is certain to satisfy all of your hobby needs with some really great deals. Gator Games also offers German games and an expanded selection of RPG’s, card games, miniatures, dice and boardgames. Visit Gator Games’ revamped website today at www.gatorgames.com. The giveaway is now closed, and we randomly selected @diebry as the winner! Congratulations! And thanks to all of you for entering. A dwarven cleric, on the run from a haunted past. I’ll probably make an optimized Dwarf Fighter. An elven (or eladrin if they still have them) wizard, of course! Though I’ll undoubtedly be the DM for a while I eventually want to run a High Elf Wizard as an homage to my early days! I’ll probably end up making several characters – but one of the first will be a half-elf bard. Dark Elf Ranger/Beast Master because who doesn’t want to rule the woods with arrows from afar. Classic dwarf/fighter, questing to restore the glory of his people in a desolate world. I am partial to a halfling bard who seeks to further his song repository by seeking adventure. His flaw is that he will often cause more trouble since that will make a better story. Human Wizard, no question. Have to get a feel for how spells and magic work now. Dwarven cleric — The gruff/grumpy field medic always ends up being fun for some reason. I have have to go with a classic for me, Elf Wizard. The pointy end goes into the other guy… Elf Fighter. I’ll be making my first ever Cleric. Human. With a new edition I’m going to try something new. d20monkey has inspired me to try running a human bard. Human Barbarian Cleric of Light … Reborn, some may say cursed, by his god, he sees reality a bit “differently” then the rest. Now, he must serve the light to redeem himself for his past transgressions or forever be enfeebled. @BrainClouds: Already played a game with a human fighter (folk hero, bow fighter), but I’ve historically played rogues almost always. Look forward to seeing how they work out! @Davion22 A human paladin to start. @diebry I am looking to create a high elf wizard. @Evil_Twin_Mason Elf Wizard with some options! 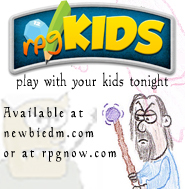 I’ll be making a Dungeon Master, because that’s how things are with my normal play group! But more seriously, my favorite way to test out a fantasy RPG is by making a cleric. So I will be making a human cleric of either the life or (hopefully) war domain. Absolutely planning on a drunk-off-his-feet human cleric. But I would almost certainly be GMing rather than playing. If I had to make a character I would probably try something odd. Like an armour wearing Dwarf Wizard. No race/class for me. I’m Trying my hand at being the DM. It will either be a Dragonborn Sorceror or Elf Ranger. Who doesn’t like to start with damage dealing iconic combos?! Definitely a Gnomish Bard. They probably won’t release rules for playing as a True Dragon right away. Dragonborn Rogue. Never played either. I’ll be playing a Human DM. Other than that, it will be a Dwarf Druid for me! Baldomero, Human Bard from Neverwinter. A gender-fluid, I-know-a-tale-about-everything Moon Elf College of Lore Bard with the Sage background. A hair-metal-belting, greatsword-wielding Human Path of the Totem Warrior Barbarian/College of Valor Bard with the Folk Hero background. When not DMing, I’ll play a half elf cleric of healing/light domain. Human Ranger. Want to try out a bounty hunter/investigator type character. I’m @sirgourls on twitter and my first race/class combo will likely be a dwarf fighter. It’s sort of my token character when I’m not DMing. Half-Elf Fighter, I want to test our the Eldritch Knight subclass. Ugh. Twitter handle on previous dwarven fighter is @clarkvalentine. @djaii23 – Human Fighter… no, Warlock, no Fighter… hmm.. I’m actually interested in figuring out how 5e multiclassing works. Half-elf bard, an extremely drunk bard. Having never played a magic user, I would really enjoy playing a high elf wizard. Of course I would also like to play a dwarf wizard just for the oportunity to be difficult. As soon as the race is available though I can’t wait to remake my Minotaur barbarian with one horn. Hey, I already follow both of those twitter accounts. I’m not in the US, but have several friends I can ship to. I’m going to make up a wizard first. Probably a human, though I might go dwarf. Not halfing or elf–Elven wizards never appealed to me, and halflings haven’t appealed to me, pretty much ever. What a coincidence! I was just in Gator Games today checking it out for the first time (too late for their DnD Encounters game). I had no idea they were having a giveaway. Already played a Human Cleric with the Starter Set, but really looking forward to playing a Half-Orc Barbarian (or Half-Orc Paladin) when I get a chance! Dwarf Barbarian, cause dwarves should get some rage to.